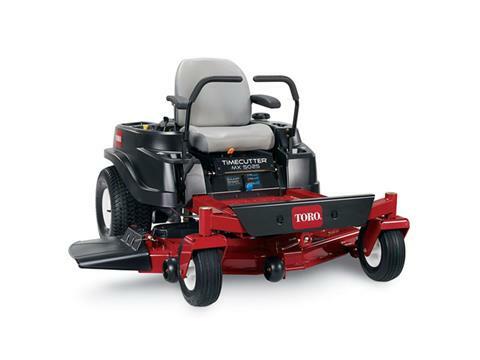 The TimeCutter MX5025 zero turn lawn mower is powered by 23 hp Kawasaki® V-Twin 726 cc engine. Featuring a 50 in. 10-ga. fabricated steel mowing system with convenient washout port. With great features like our exclusive Smart Speed® control system it allows you to choose from 3 speeds giving you greater control when trimming, towing attachments and mowing. 3-YEAR LIMITED WARRANTY - NO HOUR LIMITATIONS: Product is warranted against defects in materials and workmanship for three years without an hour limitation. See owner’s manual for complete warranty details. See retailer for warranty details.